Talking openly about race, religion and sexuality can be uncomfortable for many adults. But students at St. Andrew's Elementary are learning how to celebrate each other's differences during the school's Diversity Week. Each day, the school has focused on a different facet of diversity. 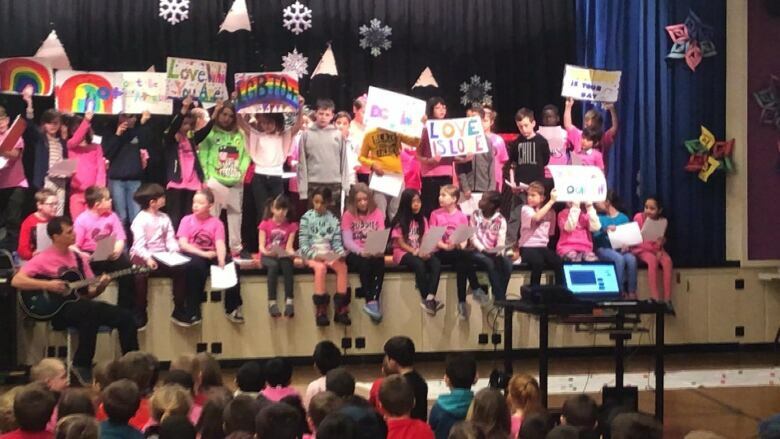 Monday began with a "Pink Day" assembly, followed by lessons on LGBTQ issues. 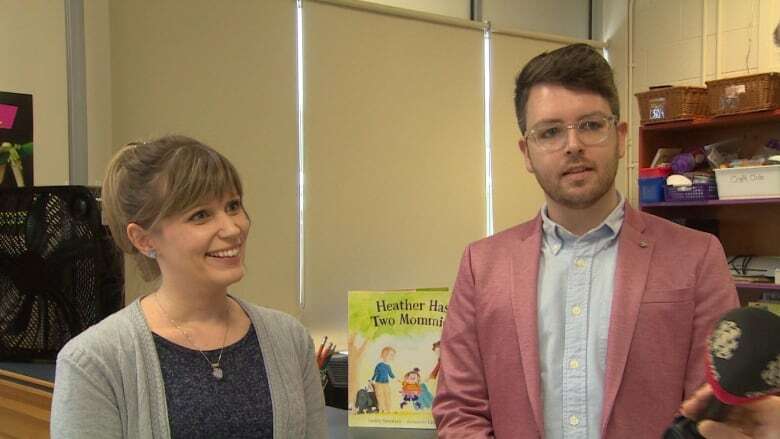 Groups including Planned Parenthood, the Foster Families Association, the Autism Society NL and Easter Seals gave presentations throughout the week. 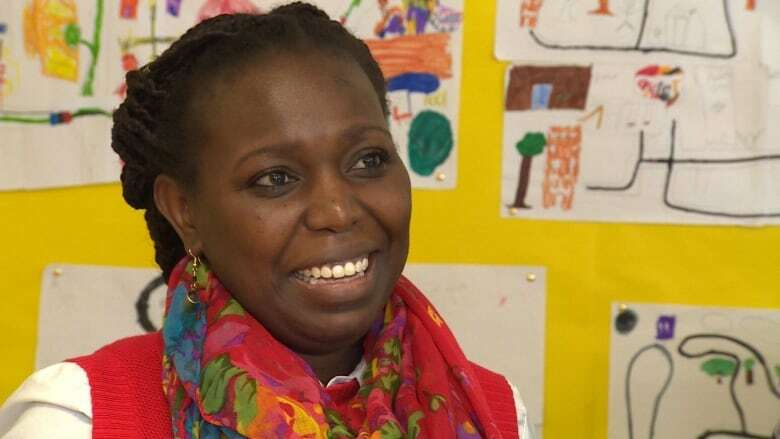 On Thursday, the Association for New Canadians addressed the students on cultural diversity, a topic students at St. Andrew's Elementary already know a lot about. As a centre-city school close to Memorial University, the school has the most racially diverse student population in the province. "It's my first time coming to the school, and the first group that came in, I was like, whooaa! This is such a diverse classroom!" said Mary Anne (Annie) Kinuthia, a presenter from the Association for New Canadians. 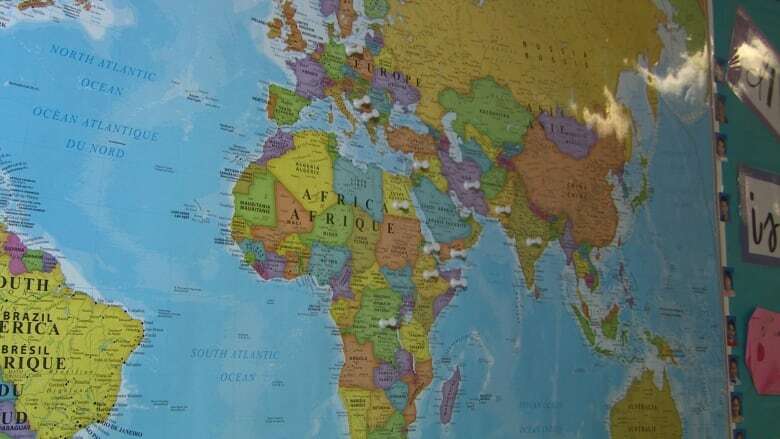 "So they are at an advantage compared to maybe other schools, because they are meeting and interacting with people from different parts of the world." 'Who do you think is Canadian? During the presentation, Tilak Chawan asked the students a simple question. "Quick question: who do you think is Canadian here? Among all three of us?" 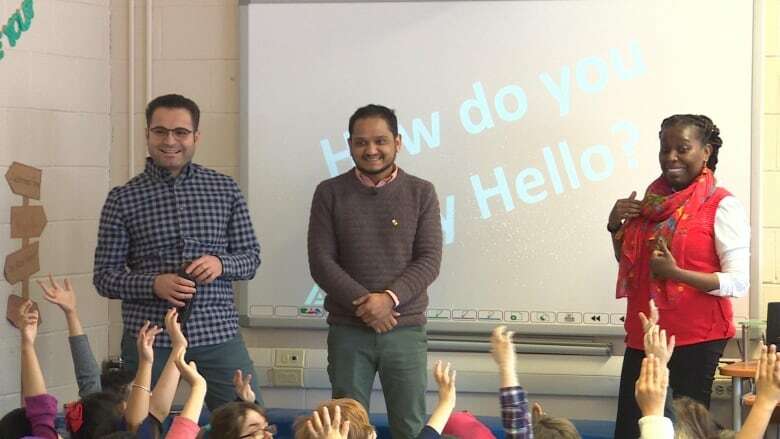 The students looked up at Chawan (who is from Bhutan), Kinuthia (who is from Kenya) and their colleague Mohammaed Almaksour (who is from Syria). The students raise their hands and take their best guesses. When Chawan asks them how they came up with their answers, they shout things like "Your skin colour!" and "Your accent!" Pointing out other people's differences often makes adults squirm. But a wide variety of skin colours and accents is something students at this school are so used to that it seems to hardly faze them. The presenters, for their part, take pleasure in surprising the students with the revelation that Chawan is the only Canadian citizen among their group. "It doesn't matter your skin colour," Mary Anne tells the students. "It doesn't matter the texture of your hair, it doesn't matter the shape of your eyes, it doesn't matter the shape of your body. We're all different and we need to celebrate and respect that." St. Andrew's Elementary has been holding Diversity Week for the past several years, and teachers say it always resonates with the students. "It's their normal, so they don't really see it as a big deal or an actual difference," said teacher Kenny Noonan. "As a gay teacher, I feel like I want to make identities visible and to represent and celebrate every facet of diversity, not just my own." "I find as adults, we didn't grow up with this kind of diversity and this kind of acceptance," said teacher Amber Milley. "So I think it really has to start early and it's our job as teachers to teach the next generation to accept everybody." It's a lesson the students at St. Andrew's have taken to heart.